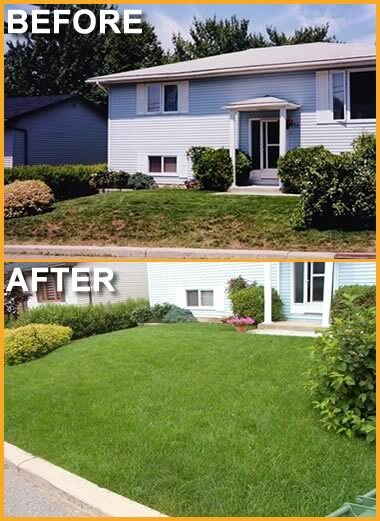 Enviro Masters Lawn Care offers a variety of lawn improvement services for residential, acreage, municipal and commercial customers; no yard or lawn area is too big or too small. Contact us for your free quote today! Our granular fertilizer has slow release nitrogen, and will break down over the course of 6-8 weeks to ensure your grass has the necessary supply of nitrogen. Enviro Masters custom blended fertilizer includes 25% organic matter, this organic matter helps the soil reach a proper balance. I am Colin Richards, owner/operator of Enviro Masters serving Central Alberta for 15 years, 8 with myself at the helm. I was born and raised in the Red Deer area, growing up on my family's farm that has been in existence for 135 years, still at the same location. I spent a number of my adult years on the farm, and learned that the most important things are working hard and making things grow. Here in Central Alberta we have a short number of months to truly take in, and enjoy all the landscape can offer, and we want you to get the most out of your property. 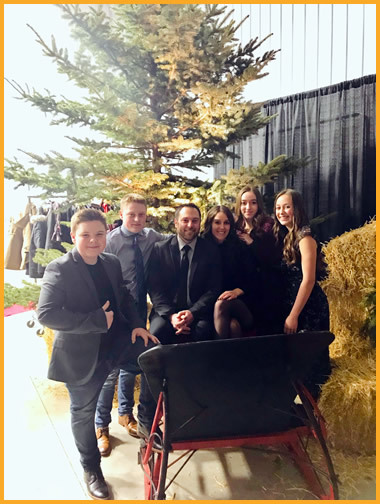 I'm the father of 2 boys, and along with my partner Alicia and her 2 girls, we want to keep making Enviro Masters a business that strives to work hard, and do our best to make your property one you can be proud of. Lowest possible carbon footprint while still establishing a great lawn! Proudly offering Enviro Masters customized ENVIRO considerate fertilizer PLUS our new Pesticide Free weed control! 4. Kelp extracts application. Stress tolerance is critical, and biostimulants such as kelp increases antioxidant levels to develop a better defense system. Thin turf? Want thicker grass on your lawn? Try our slit seeding process. Getting the seed into the soil means a higher germination rate and a thicker, better looking turf. From $120. Clearing out an abundance of thatch allows your turf more sunlight, water, air and helps create a healthier lawn. From $120. We use deep root feeding and capsule injection to fertilize and control insects - this gives your trees and shrubs the best health possible for the growing season. From $120. Hard dry soil makes uptake of moisture and nutrients difficult. Aeration will dramatically aid in getting your lawn off to a quick start. From $65. We provide mowing and property maintenance services for all sectors: Residential, Commercial, and Acreages. Phone for custom pricing. Full season fertilizer and weed control program for $215/acre.